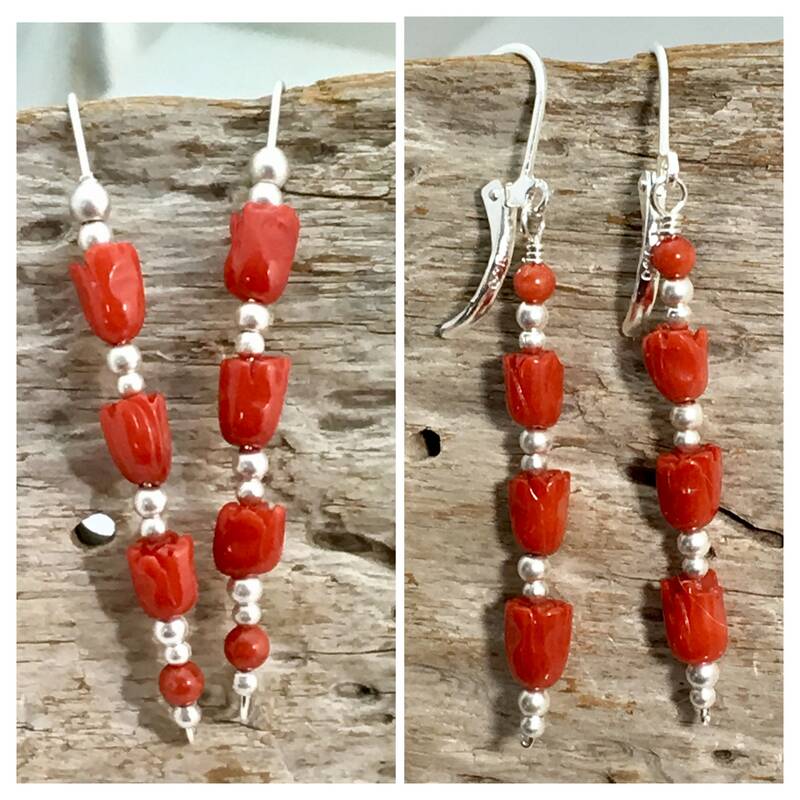 Red tulip carved coral flowers and bright sterling silver come together to create two distinctly different original dangle earring designs. 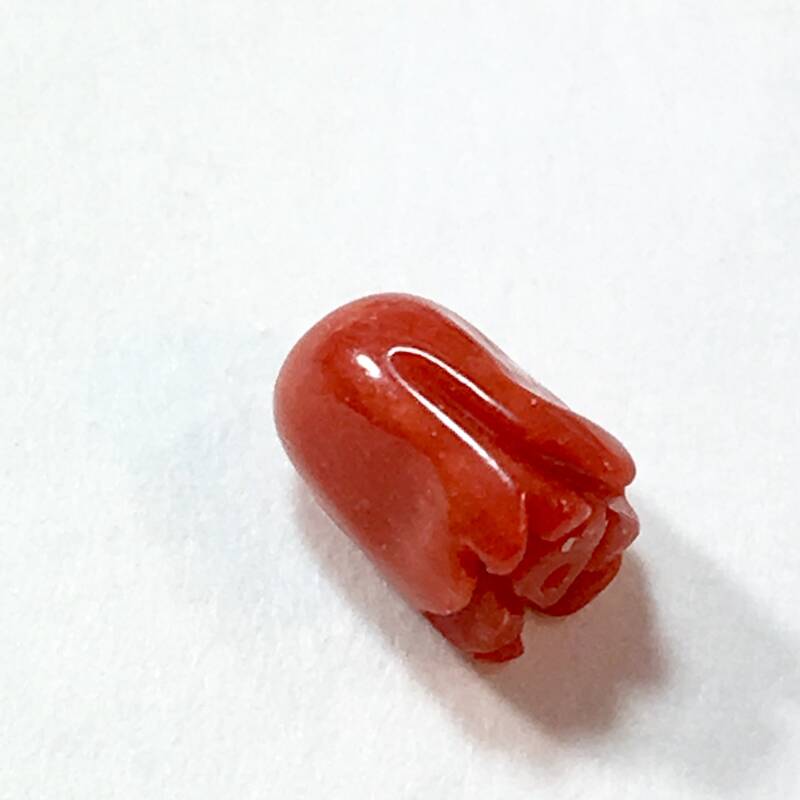 The hand carved flowers have a bright red smooth finish and are slightly rustic. 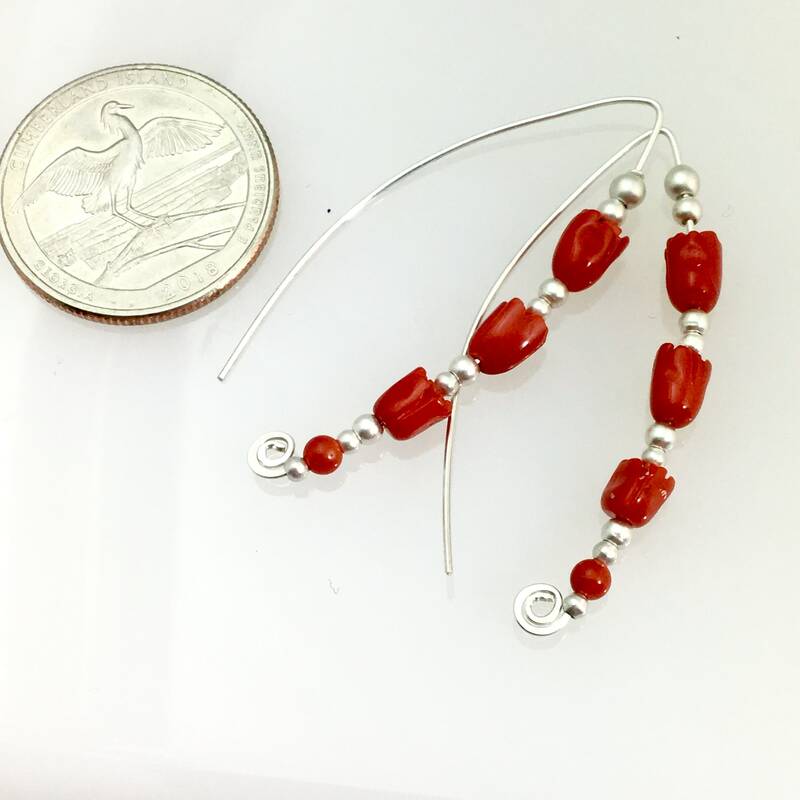 Sterling silver round beads in various sizes separate the blossoms. 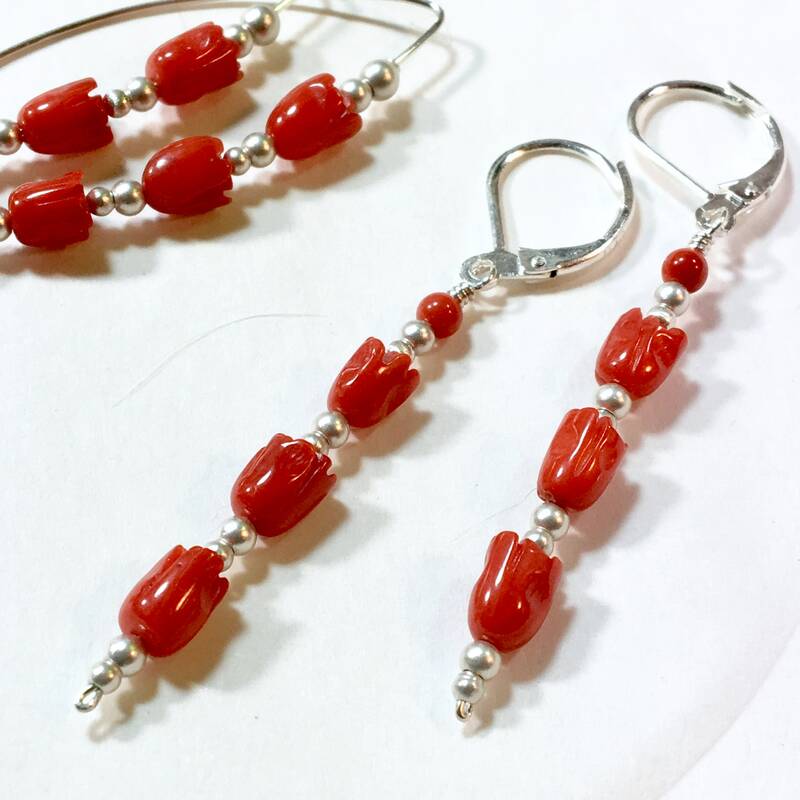 2 1/8” long dangle earrings each feature 3 tulips and a 3 mm coral bead, arranged to be larger as they descend. 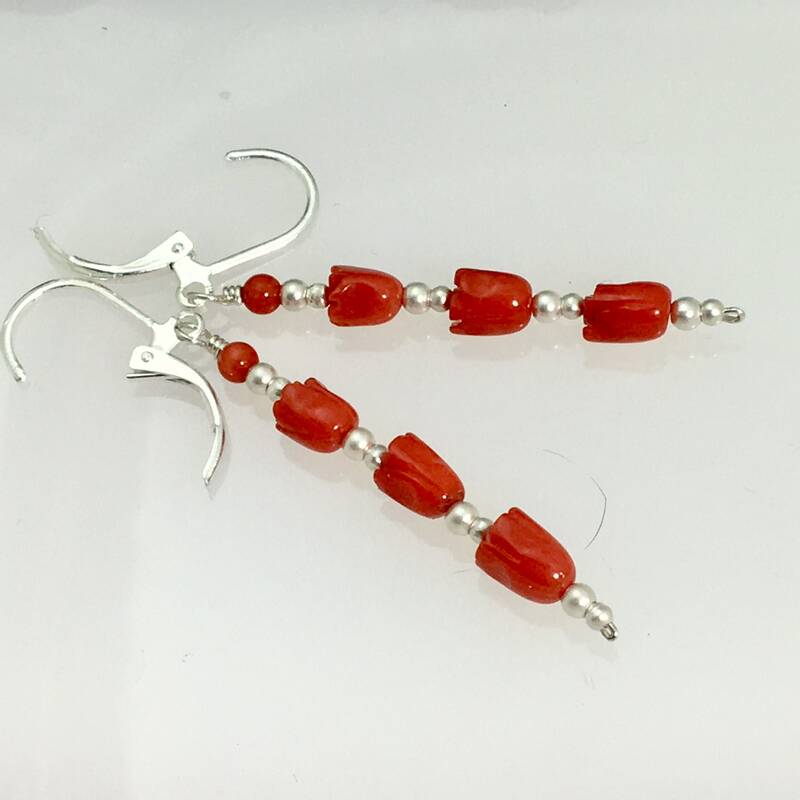 Each is separated with smaller satin finished sterling beads, and the straight construction dangles from a secure sterling silver leverback earwire. 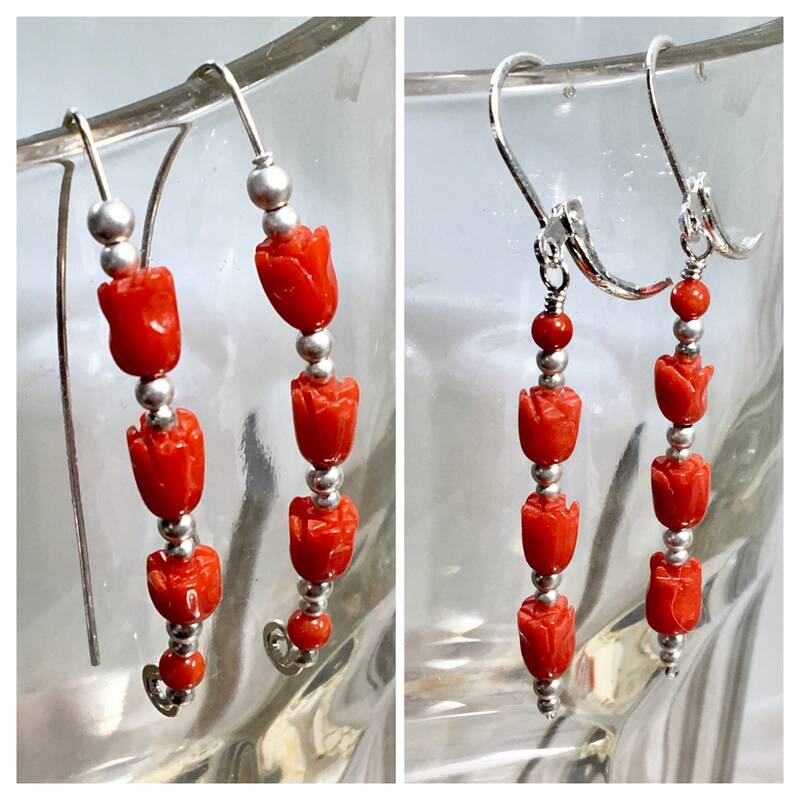 1 3/4” long curved design also features 3 tulips & a 3 mm coral bead, but in this design, I placed the largest tulip at the top & the 3 flowers descend in size as they descend the ear wire. 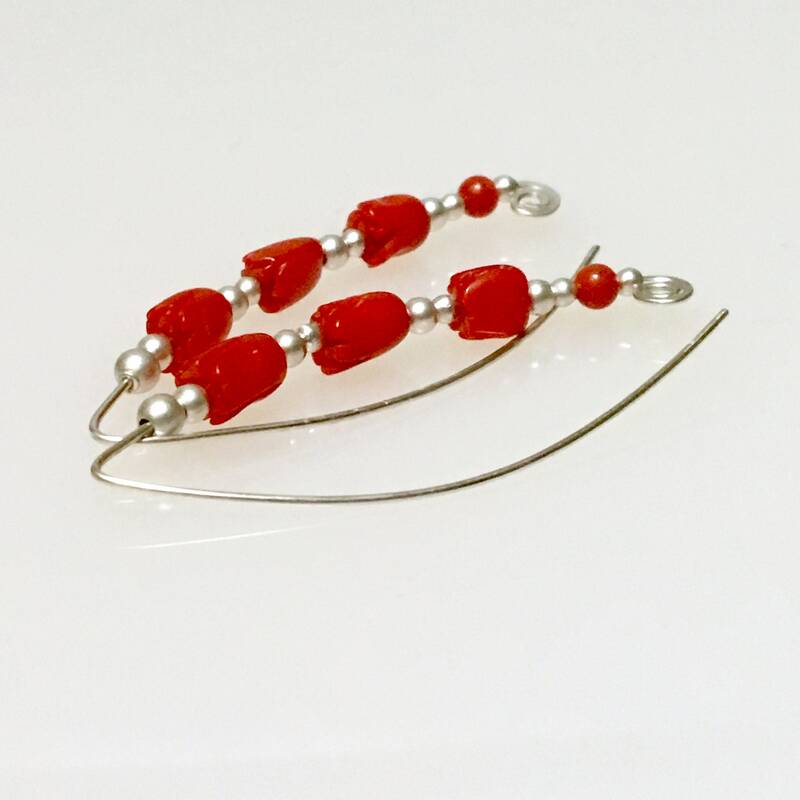 Constructed with sterling silver wire (& clear earring clutches are included for security) and with satin finished sterling beads to separate each coral bead. Beautifully packaged to give or to keep. A WillOaks Studio original limited edition. 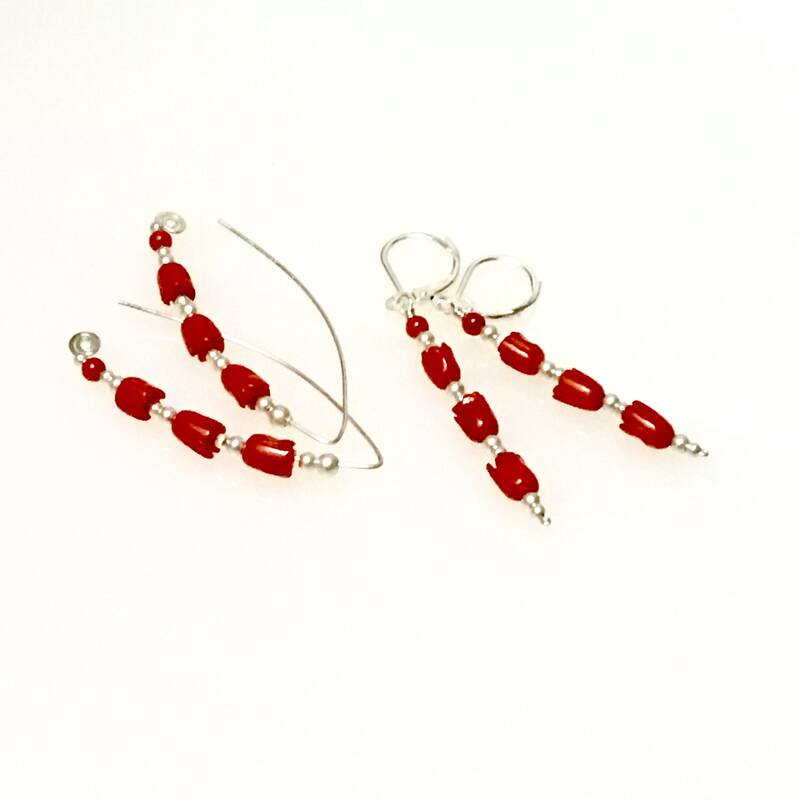 If you would like to buy more than I’ve listed, please get in touch & I'll check inventory. 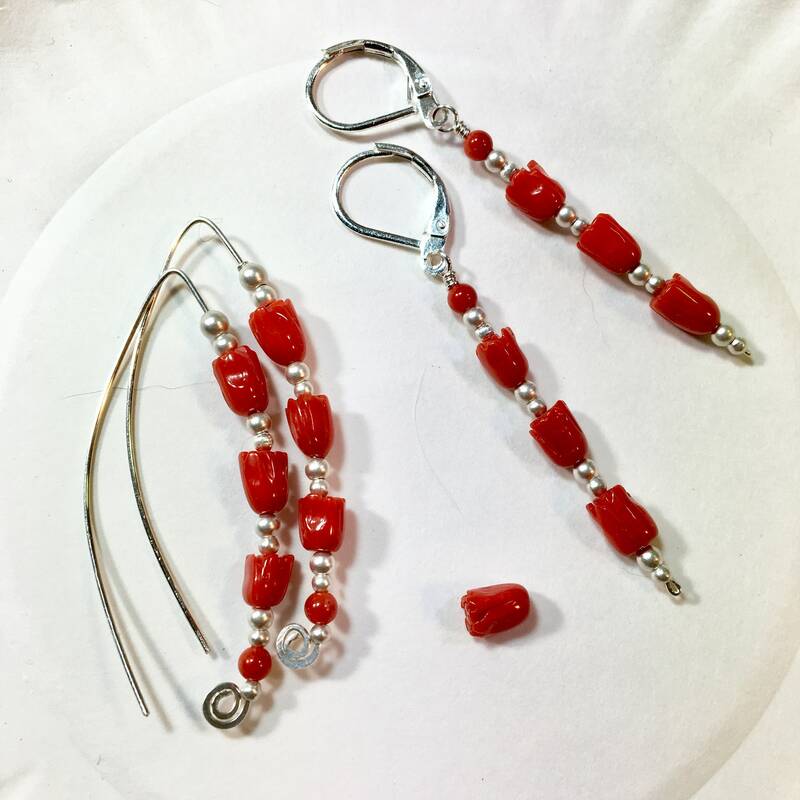 An original design that’s a unique gift for flower lovers, gardeners, and everyone who likes red! 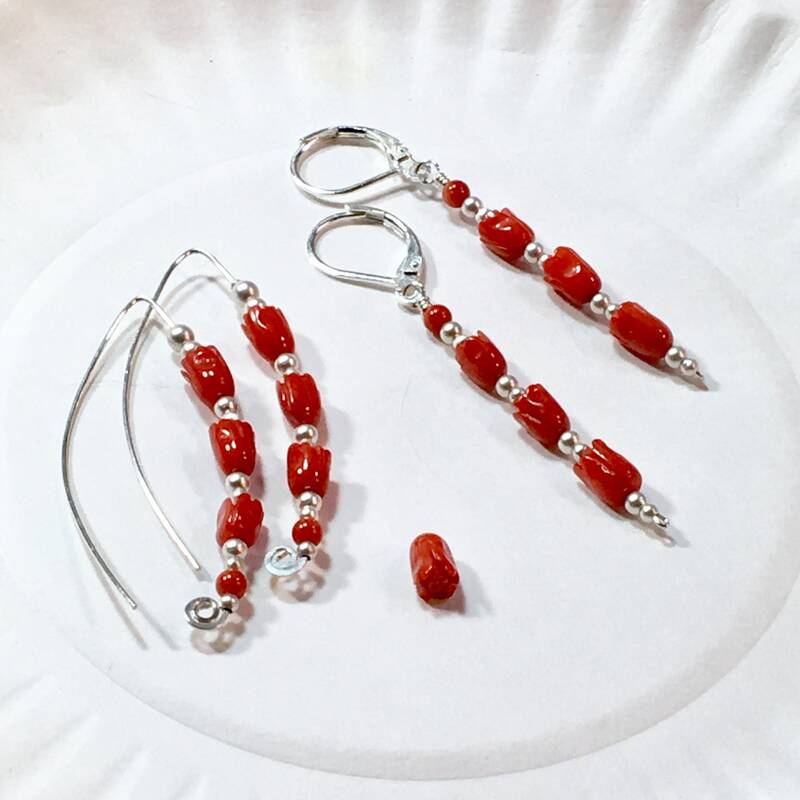 Please visit the front of my studio here https://www.etsy.com/shop/WillOaksStudio where you will find more exciting gift ideas, and original earring designs.